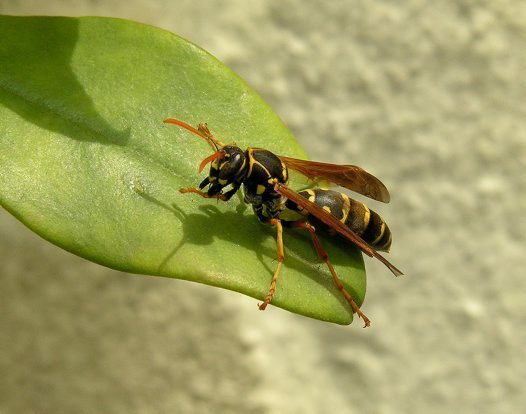 Wasps are considered beneficial to agriculture and vegetation, but they can pose serious threats as well particularly in summer throughout Hornsby, Ermington, Marrickville, Mosman and North Sydney council service areas. And in these cases, a professional pest control services like Enviro Pest Solution is the only answer to these problems. Depending on species, Paper Wasps have different colours, such as, yellow, black, brown and red with 1 inch long slender bodies. They build nests attached on shrubs, trees and sometimes on a building eaves and on outside corners of the house. Paper wasps stings are quite painful to endure, they will only commonly attack when their nest is potentially threatened, which could lead to human attacks and can also produce a potentially fatal anaphylactic reaction to some individuals, nests in areas near humans can pose a dangerous hazard. If these creatures have become pests around your property, contact Enviro Pest Solutions today to eliminate or safely remove and relocate them. Our work is satisfyingly guaranteed and you won’t get stung by trying to do it yourself. Having trouble with wasps in your home? Call the best pest control, Enviro Pest Solutions today!